2 Bedroom Apartment To Rent in Bristol for £1,300 per Calendar Month. Brand new, chic and stylish, this excellent apartment at Bristol's latest Harbourside development, Invicta, is sure to impress. Harbourside has become the fashionable home for those professionals who seek stylish modern surroundings with all the amenities of Bristol City Centre nearby. Perfectly placed for access to a great mix of shops, restaurants, cafes, theatres and other attractions in Bristol City Centre and the Waterfront area. College Green, Park Street and Clifton are also close at hand, and the M32 Motorway and Temple Meads Station are a few minutes drive away. Located on the third floor of the building, the apartment is available to rent unfurnished, and comes with the advantages of a secure parking space, a balcony, gas underfloor heating and lift access. The accommodation includes two double bedrooms (one with built-in wardrobe and an en suite shower room), and a contemporary main bathroom which, like the en suite, is attractively tiled by Porcelanosa. The open-plan living space has patio doors leading out to the balcony, and incorporates a very stylish kitchen fitted with integrated dishwasher, fridge/freezer, oven, hob & hood. 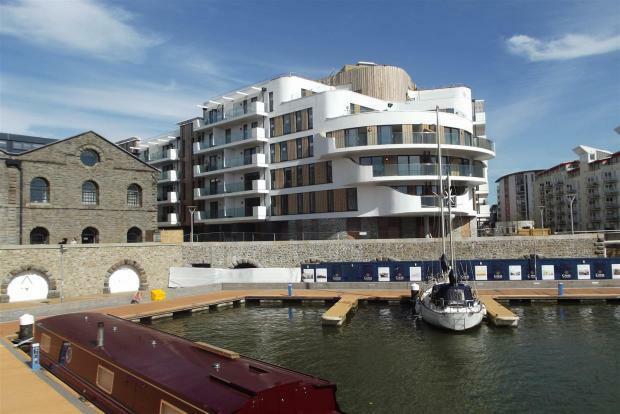 To find out more, and to arrange a viewing appointment, call Chappell & Matthews at the Harbourside.